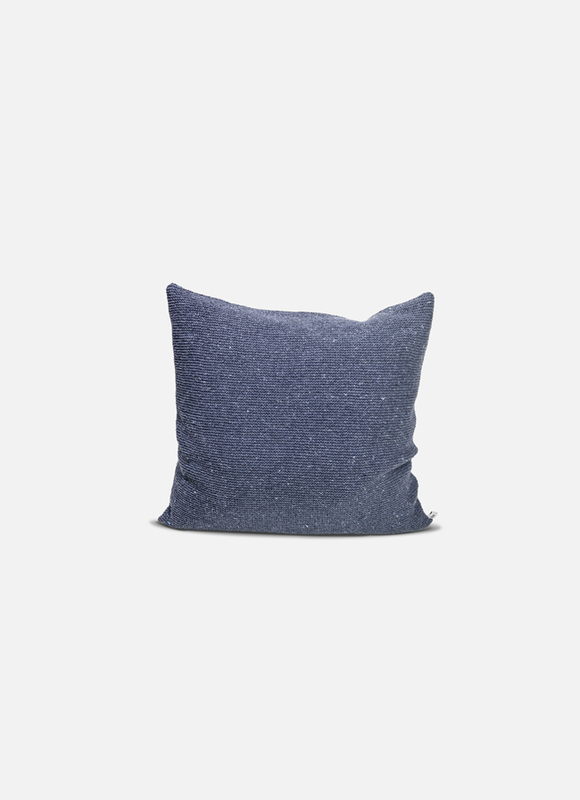 Soft, knitted cushion made of recycled denim. Designed to dress your home in a responsible manner. What happens with your worn out jeans?? We give denim a second life by removing zips and buttons and spinning the fibres to a soft yarn that we use for our cushions. 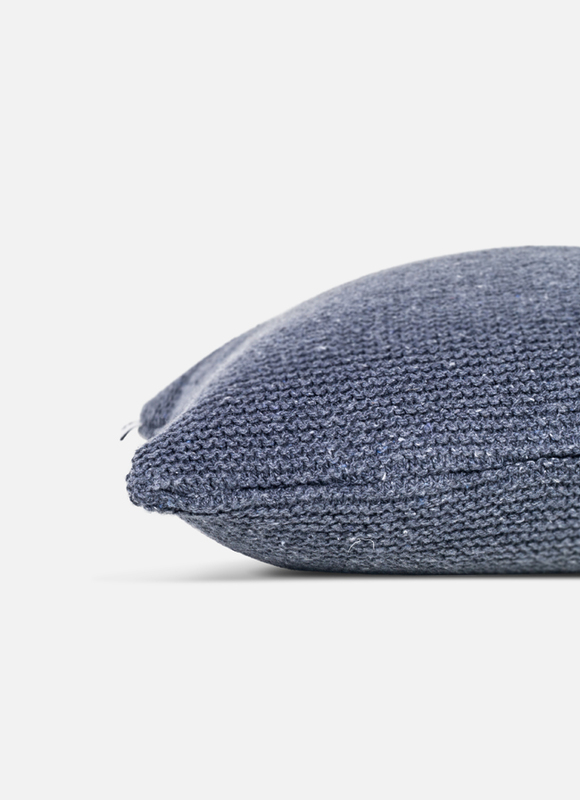 An ecological product, a good alternative for cotton and a great way to dress your home.